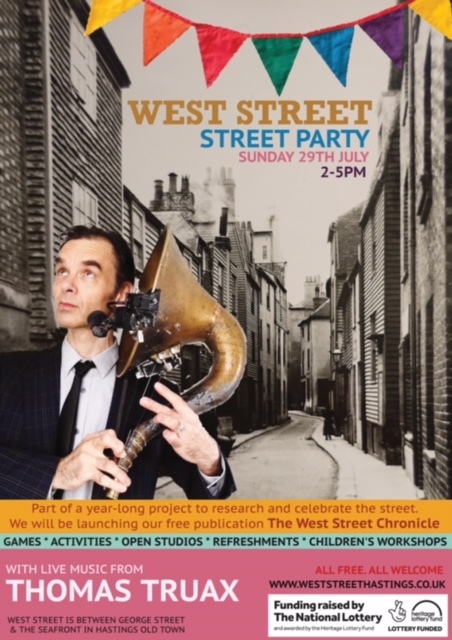 As part of the year-long project to research and celebrate West Street, a new, free publication the ‘West Street Chronicle’ will be launched at the street party on Sunday 29th July from 2-5pm. The road will be closed to traffic and West Street will be celebrating with a range of activities, open studios, children’s workshops, refreshments and games. It will feature live music from Thomas Truax. Everything is free and everyone is welcome.